Mostly sunny in the morning, becoming partly cloudy in the afternoon. High 23°. UV index up to 7. Wind east-northeast around 4 kph in the morning, becoming southeast in the afternoon. Partly to mostly cloudy. Low 13°. Wind east around 3 kph in the evening, becoming north-northeast after midnight. Mostly sunny in the morning, becoming sunny in the afternoon. High 24°. UV index up to 7. Wind northeast around 5 kph in the morning, becoming south-southeast in the afternoon. Fair to partly cloudy in the evening, becoming partly cloudy after midnight. Low 13°. Wind east-southeast around 3 kph in the evening, becoming north-northeast after midnight. Partly cloudy. High 23°. UV index up to 7. Wind east-northeast around 5 kph in the morning, becoming south-southeast in the afternoon. Partly to mostly cloudy in the evening, becoming partly cloudy after midnight. Low 14°. Wind south-southeast near calm in the evening, becoming northwest after midnight. Sunny. High 23°. UV index up to 7. Wind southeast around 5 kph. Clear in the evening, becoming fair to partly cloudy after midnight. Low 13°. Wind southeast around 3 kph in the evening, becoming northeast after midnight. Partly cloudy in the morning, becoming sunny in the afternoon. High 22°. UV index up to 7. Wind east around 7 kph in the morning, becoming southeast in the afternoon. Fair to partly cloudy. A slight chance of rain in the evening, then a chance of rain after midnight. Low 13°. Wind southeast around 4 kph in the evening, becoming northeast after midnight. Chance of precipitation 30 percent. Precipitation mostly less than 2 mm. Mostly sunny in the morning, becoming sunny in the afternoon. High 21°. UV index up to 7. Wind west around 6 kph in the morning, becoming 15 kph, gusting to 30 kph, in the afternoon. Fair in the evening, becoming partly cloudy after midnight. Low 13°. Wind west around 9 kph, gusting to 29 kph. Details: This is an automated forecast, based on weather data collected automatically from Kavala's Personal Weather Station and other resourses (numerical weather models, radiosonde, observations and METARS all over SE Europe etc) It refers to Kavala's city and the area around it. Temperature and relative humidity are calculated at the elevation of the weather station (90m) and may vary depending on the elevation of other city areas. 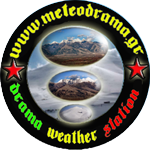 Weather data collection and processing takes place every 6 hours and the forecast is issued on this webpage after 35 minutes when data processing is over. The forecasting accuracy is better than 80% for the first 24 hours, 70% for the next 48hours etc.